Every day or a handful of days every month? You need a season pass. Three or four times a winter? Many resorts have great “packs” of tickets you can buy in advance. One or two times total? Consider a discount card or purchasing single day tickets in advance. Feeling spontaneous and unsure – you can always purchase directly from a lift ticket window at the resort. Just remember, typically the further in advance you purchase the ticket the lower the cost. Where do your friends and family ski? Do you have a favorite resort and just want to ski there? Do you want a pass that will allow you to ski multiple resorts? Maybe you’ll have a home resort that you’ll ski or ride regularly along with some side trips to explore different resorts. 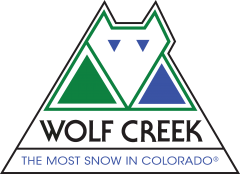 Check out the links below for ticket pricing information for each Colorado Ski Country member resort.